The Golden Baobab Prizes, now in its fifth year, were set up to find the very best writers of African children’s literature. This year’s shortlist suggests that the judges; Bernardine Evaristo, Esi-Sutherland-Addy, Nonikiwe Mashologu, Zetta Elliott, Annette Hansen and Osayimwense Osa, all have varying ideas about what constitutes good fiction for children. This has ensured a very diverse 2013 shortlist. 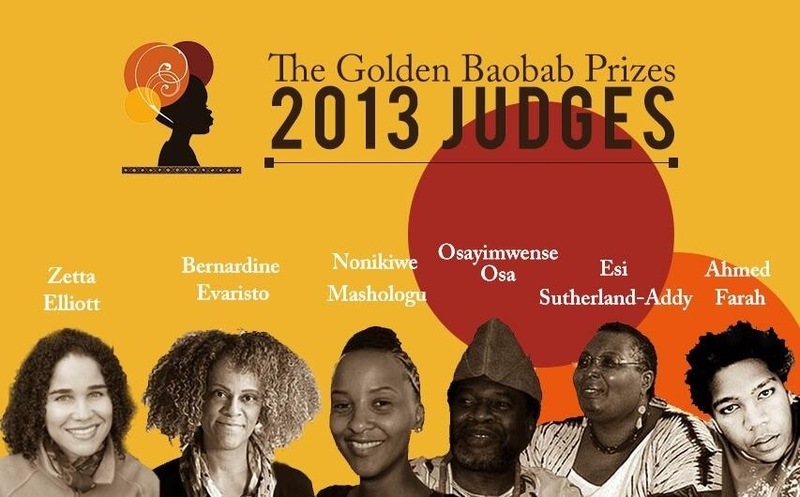 The shortlist comes out after over 8 weeks of the rigorous Golden Baobab Prizes evaluation process. It is evident that African writers are passionate about creating beautiful stories to ignite the imaginations of African children everywhere. The winners of the 2013 prizes will be announced on 13 November.